If you're looking for some down-home Southern hospitality for your bash or getaway, hit up Atlanta. Take in all the attractions this thriving city has to offer - Centennial Olympic Park, Atlanta Skydiving Center, Atlanta Motor Speedway, Six Flags Amusement Park, Stone Mountain Park, Turner Field and more. Gobble up lots of scrumptious Southern cooking. And when the sun goes down and the nightlife heats up, party away in Buckhead or bar hop in Virgina-Highland. 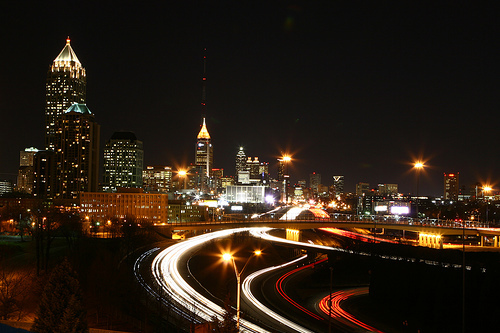 Atlanta is the city that never sleeps. The sunshine state. I recommend the place on peachtree and 5th. They have great "iced cream." It is semi frozen dessert. Comes in different colors and flavors. My favorite is Vanilla.